Metropolitan Hilarion of Volokolamsk, chairman of the Moscow Patriarchate’s Department for External Church Relations, sent a message to Mr. Martin Schulz, congratulating him on re-election as President of the European Parliament. The election took place on the 1st of July 2014. The text of the message is given below. 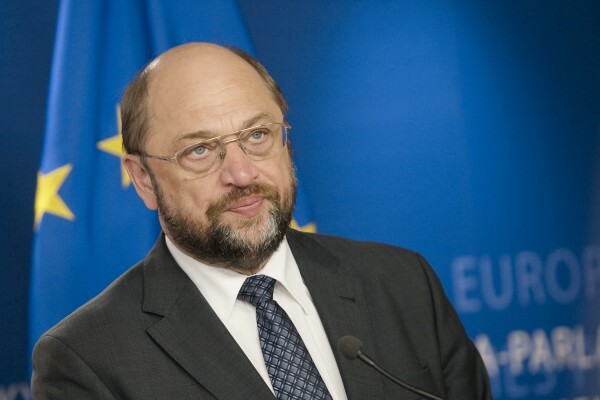 I congratulate you on your re-election as President of the European Parliament. Once again, you have been entrusted with the responsibility to head the supreme representative body of the European Union in a difficult time. Economic and social problems, a high level of unemployment, and armed conflicts have become a challenge for all peoples of the European continent. I am convinced that your experience and professionalism will help to solve the current pan-European problems. It is not only favourable economic and political climate that can make Europe strong but also the proper attitude to its historical spiritual and cultural roots nourished by the Christian heritage. In a time when fundamental principles of public and family morals are facing unprecedented challenges, the peoples of our continent expect international leaders to respect their traditions, religious culture and the choice of the world outlook. The Russian Orthodox Church, whose faithful live both in the countries of the European Union and in the territory of Greater Europe, shares these hopes, too. I express my hope that the European Parliament under your leadership will make a decisive contribution to the development of peaceful and trust-based relations among the nations on the European continent, and to the shaping of social justice and moral values in society.